"We're goin on a lion hunt!" 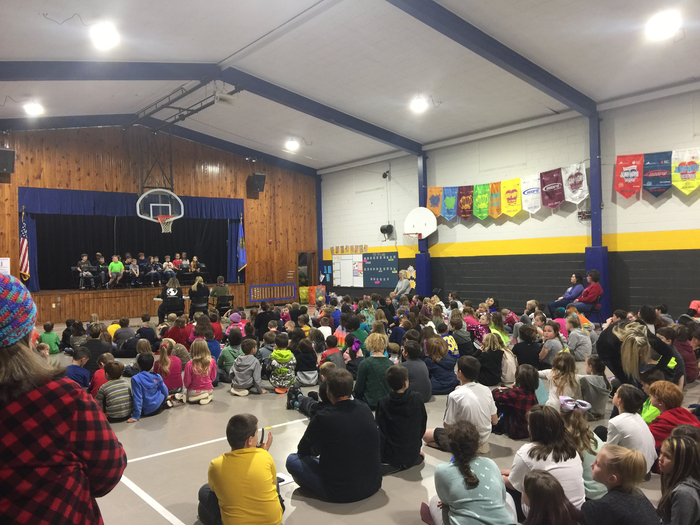 Limestone's PreK, K, &1st grades did a great job today! Good luck on tonight's performance, you will do great! 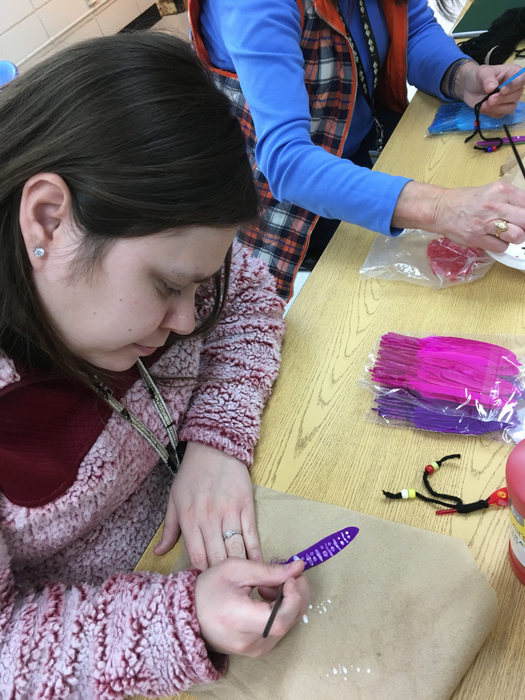 2 days ago, Sand Springs Indian Ed. Happy "hump day" from the Bus Barn! Make it a great day! 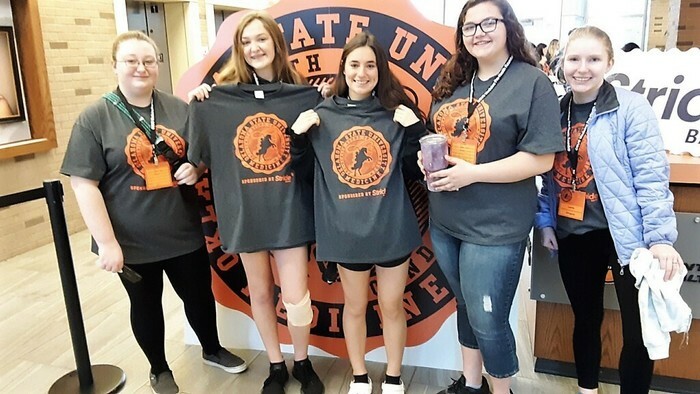 Today our SSIE high school students are attending the OSU Medicine Pre-Health Roundup! They are exploring OSU Center for Health Sciences and taking part in high school preparedness workshops. 24 days ago, Sand Springs Indian Ed. It's a great day to be outside! 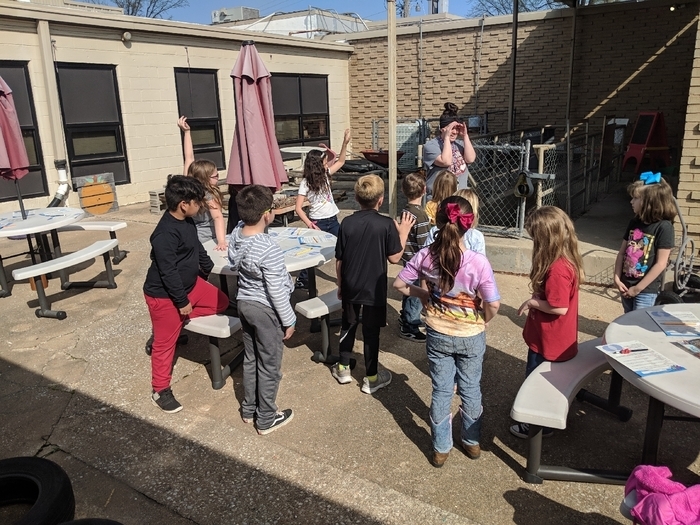 Mrs. Medina's 2nd graders are learning about climate in the outdoor class room today! 25 days ago, Sand Springs Indian Ed. Welcome Back!!! Make it a great week from the Transportation Department! 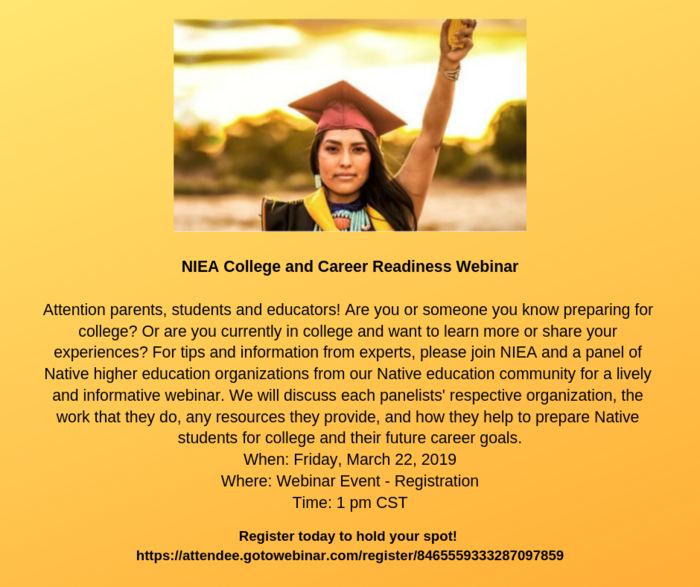 Upcoming Webinar Event for those preparing for college. 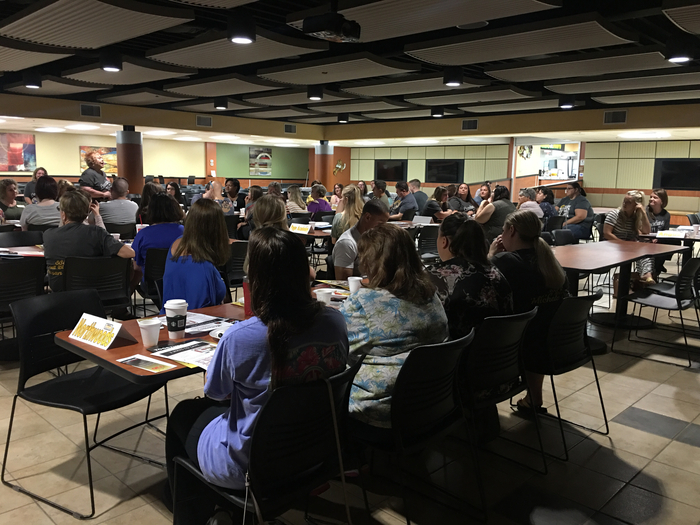 about 1 month ago, Sand Springs Indian Ed. Dodge! 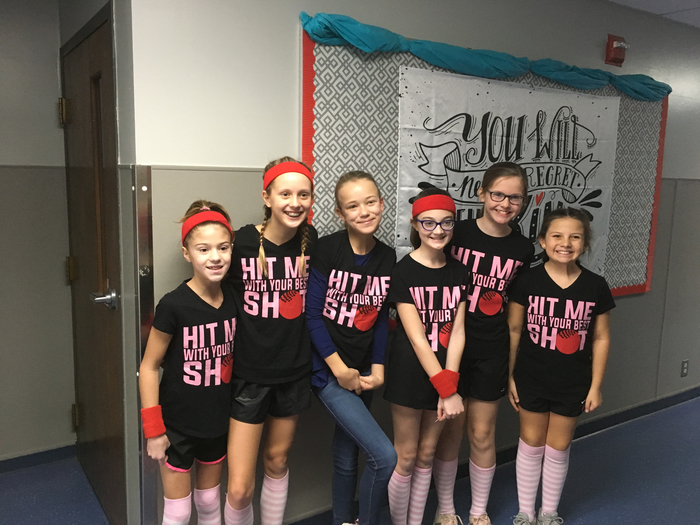 Here are the winners of today’s dodgeball tournament at Angus Valley. What a fun day! 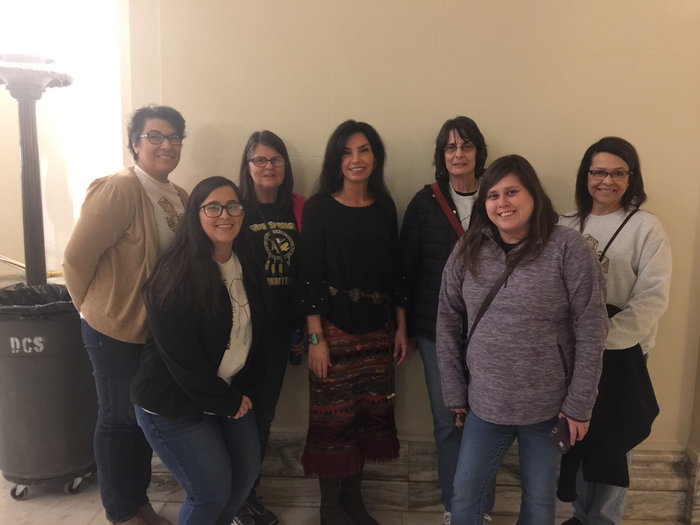 2 months ago, Sand Springs Indian Ed. On target!! 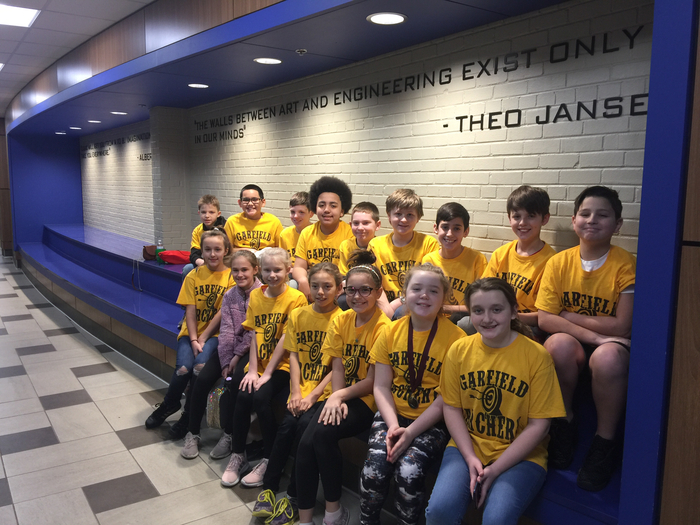 Good luck to our Garfield Archery team in their meet today. We are very proud of our GSA and SSIE students representing us! Buses are rolling! Make it a great week everyone! 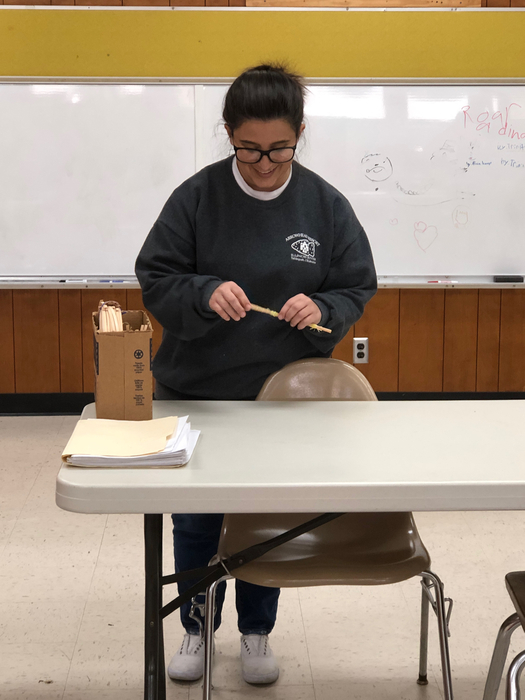 Our SSIE tutors are multi-talented! Continuing to prepare for Love My Heritage Night! Getting ready for Love My Heritage Night! 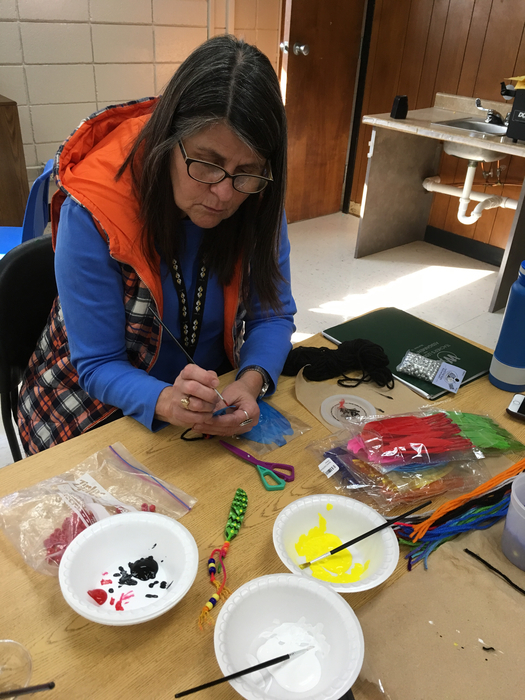 Crafting prep work for our make & take projects. 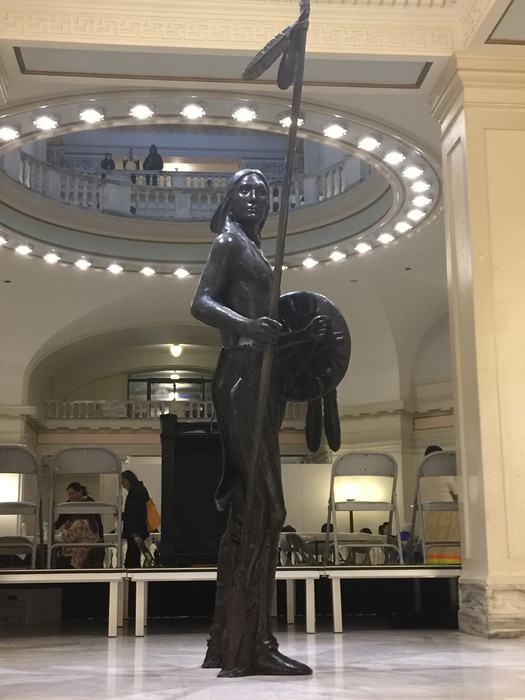 Beautiful examples of Native culture entwined w/State history represented in our State House to tell Oklahoma’s story to all who visit. Thank you, Lisa Billy, for the encouragement to use our voice for our students! We appreciate your work! 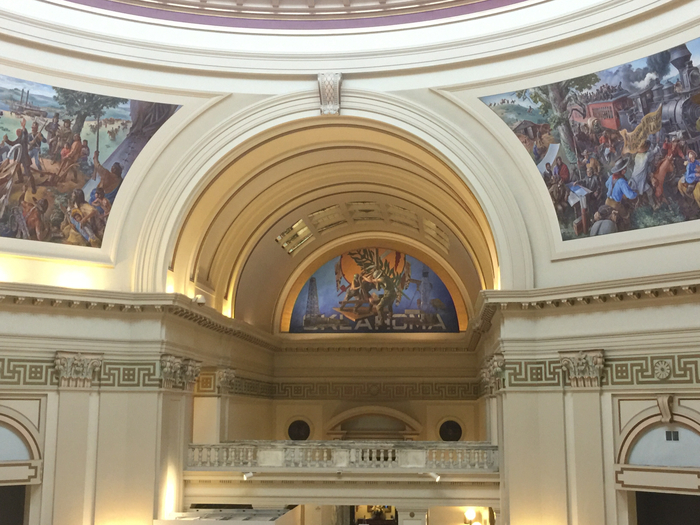 It was a pleasure serving Sand Springs and surrounding communities last Friday! 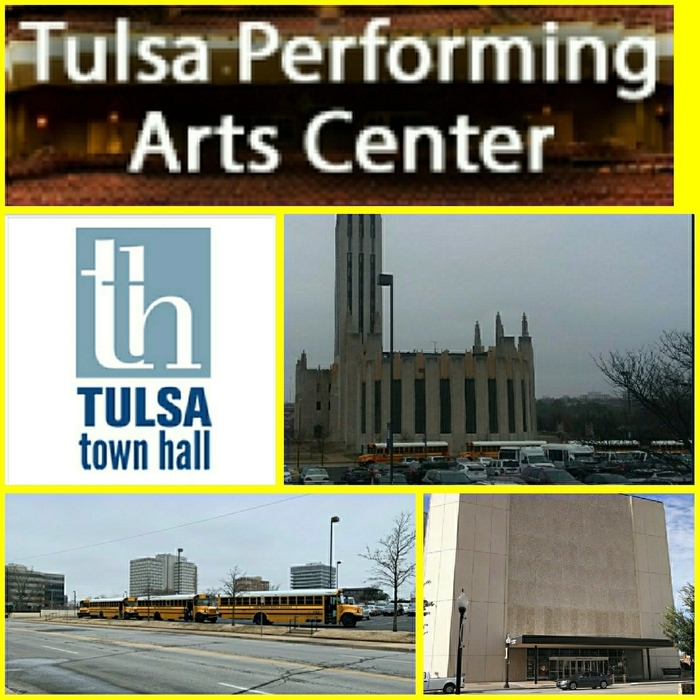 We took a trip to the Tulsa Performing Arts Center to visit with The Tulsa Town Hall! 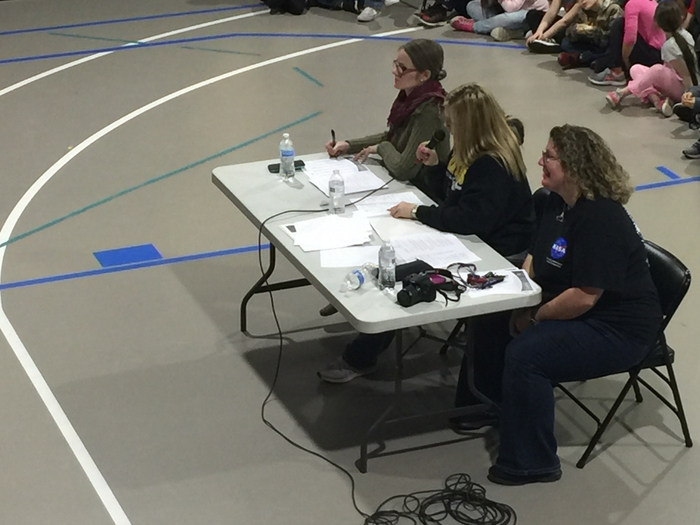 Congratulations to our SSIE students that competed in the 2018-2019 school wide spelling bee at Limestone! 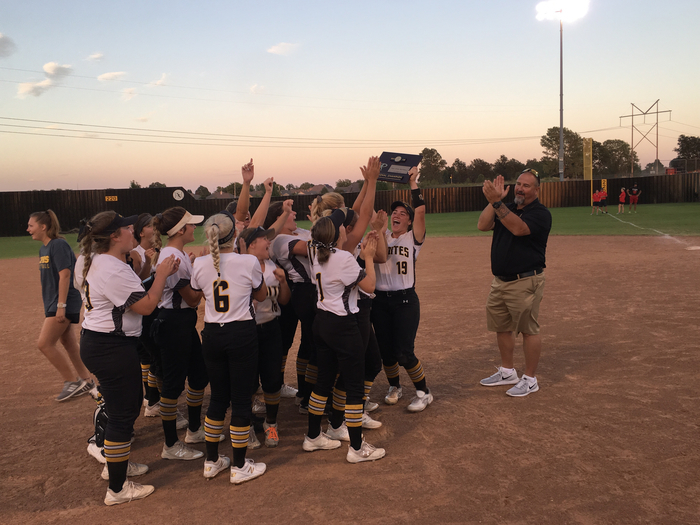 Well done Sandites! 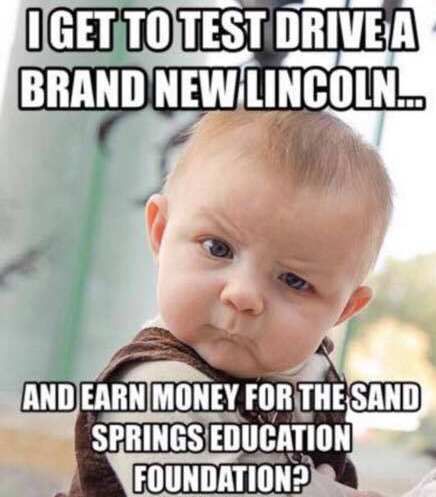 3 months ago, Sand Springs Indian Ed. 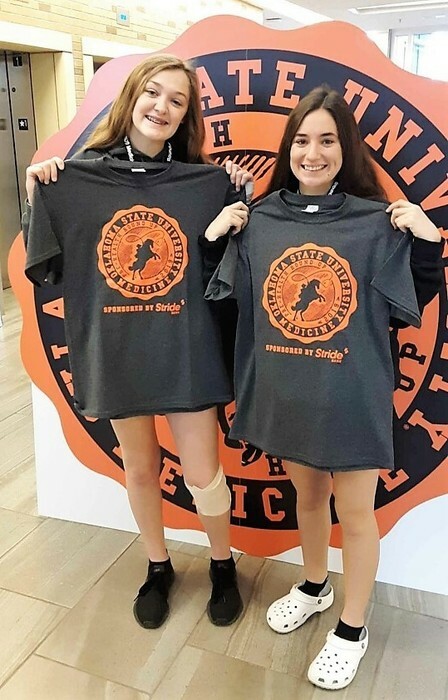 For more information about the 2019 SSPS Student Investment Plan, please visit http://bit.ly/bond2019 and then join us for District Dialogue at the CNGC Media Center on Monday, February 4 at 5:30 PM! 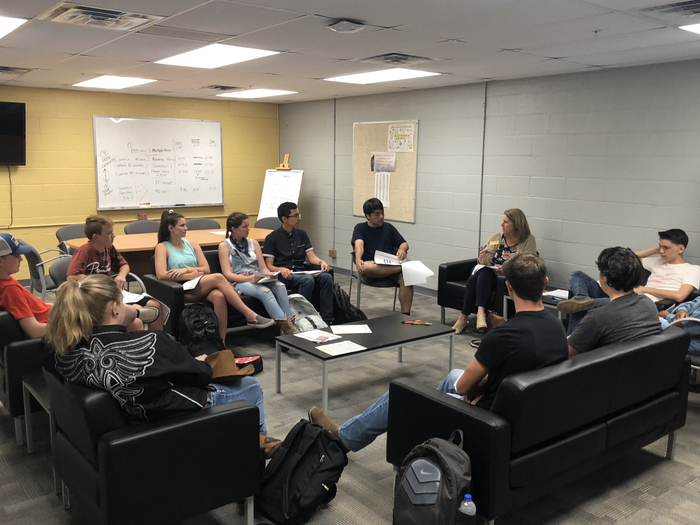 The topic is the 2019 Student Investment Plan! See you there! 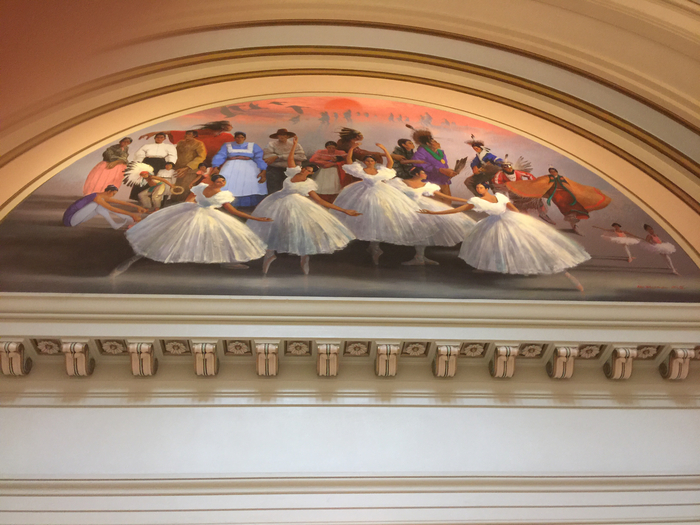 Yesterday was a great day for a field trip! 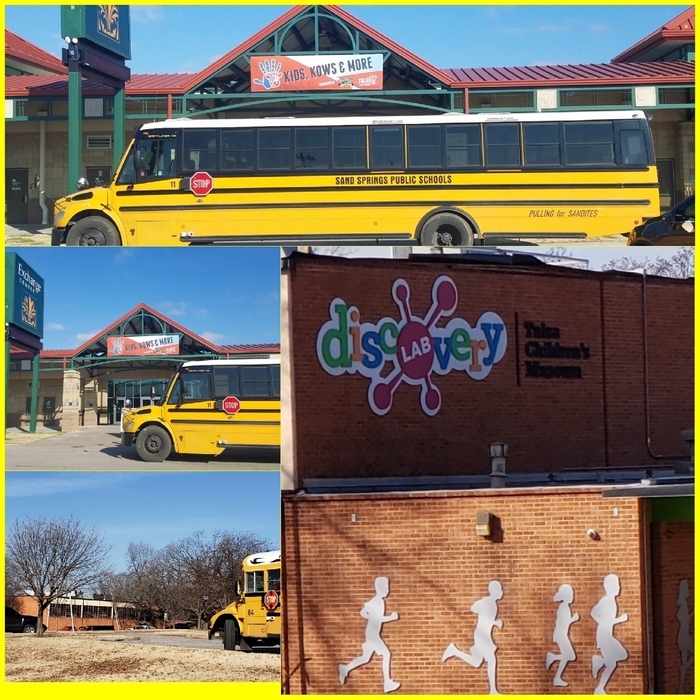 We transported precious little ones to Kids, Kows & More also the Tulsa Children's Museum! It is a pleasure serving our students! Sending huge "THANKS" to our awesome mechanics who start and keep our Buses warm on these frigid mornings! Burrr!!!! 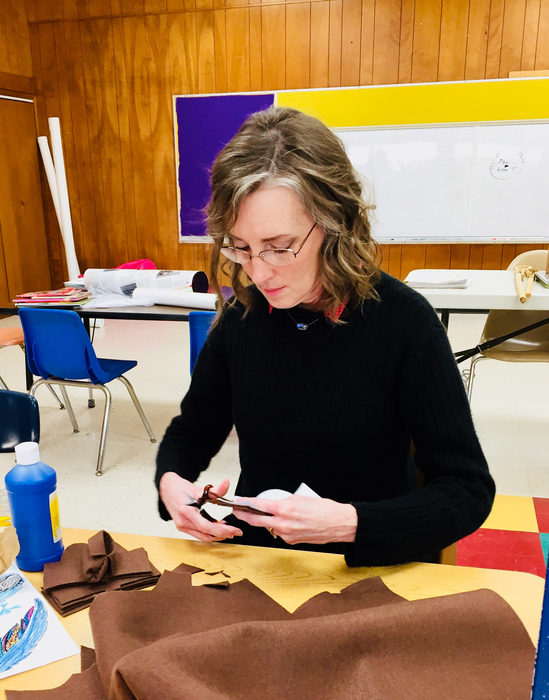 Thank you for having the heart of a Sandite! The response to the Sandite Track Indian Taco fundraiser was awesome! We are so proud of our Native Student Athletes that not only represented our dept. well, but demonstrated our Sandite values of Respect and Integrity. Well done Sandite Track!! Things are "rolling" here at Transportation! Make it a great week everyone! Always make it a GREAT Day! 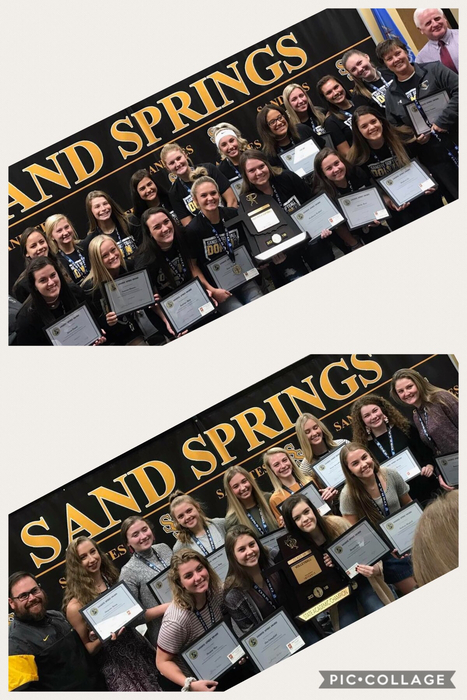 We are extremely proud of our Sandite Girls’ softball and volleyball teams! Both were 6A Academic State Champions and received honors at the BOE meeting tonight! Great job ladies!! Today is the day at the CPHS parking lot! 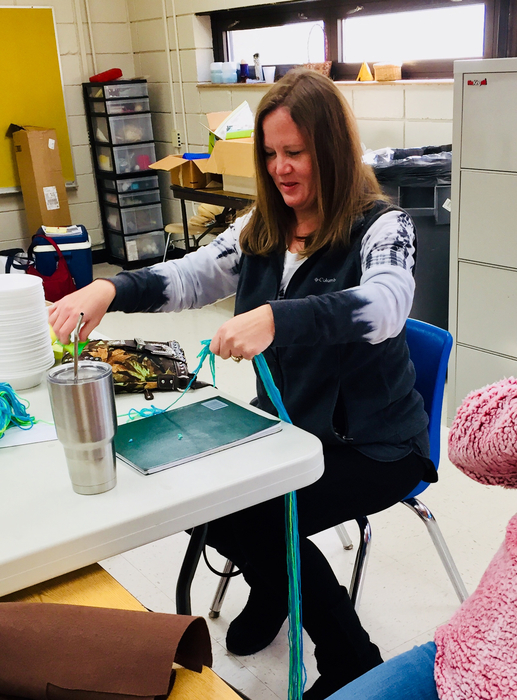 Help SSEF raise $8000 for teacher grants! 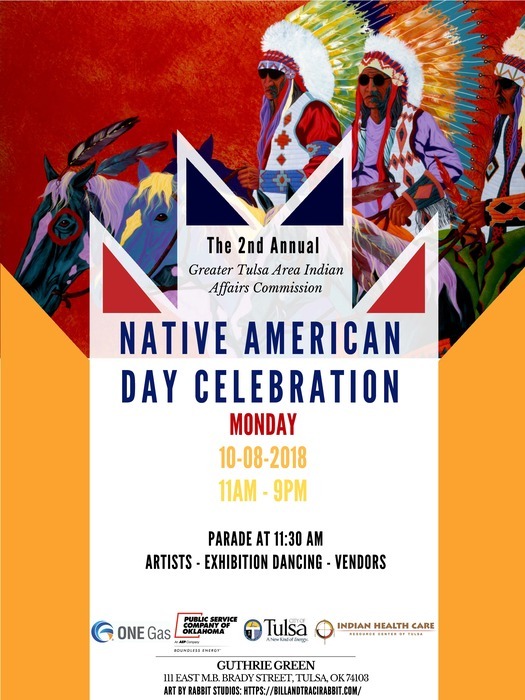 SSPS Native American Student Association officers and members will participate in the 2nd Annual Native American Day on October 8th. 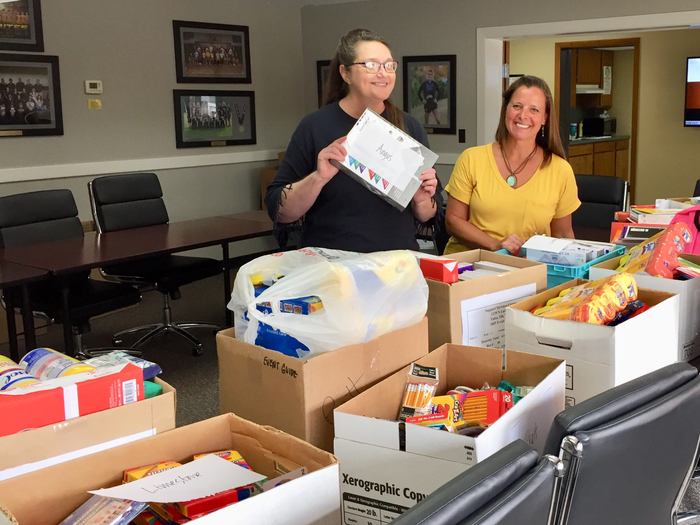 Thank you to the Women’s Chamber for the school supply donation! Great partners! Great afternoon for some softball! 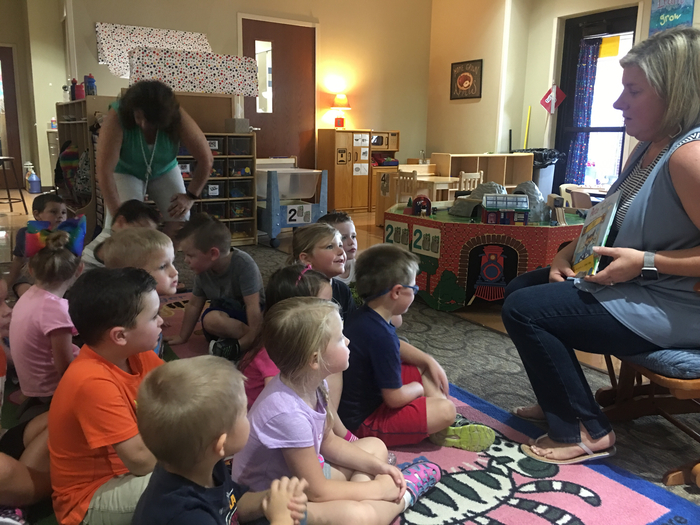 Lots of learning going on at ECEC!! 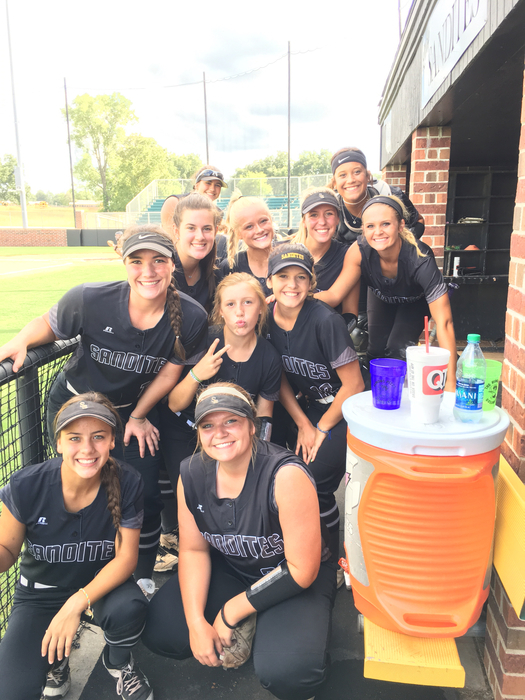 It’s MEET THE SANDITES! Let football season begin! 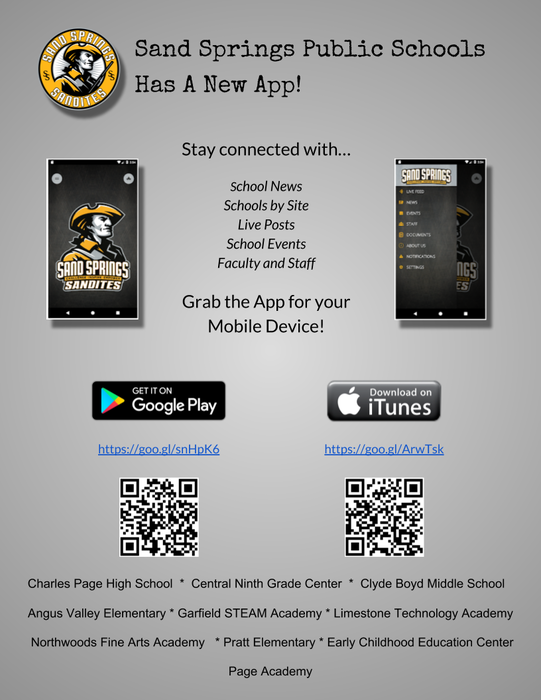 Sand Springs Schools has a New App! Grab the link to your store and add to your Mobile Device today! Love Kids? Want a flexible work schedule? 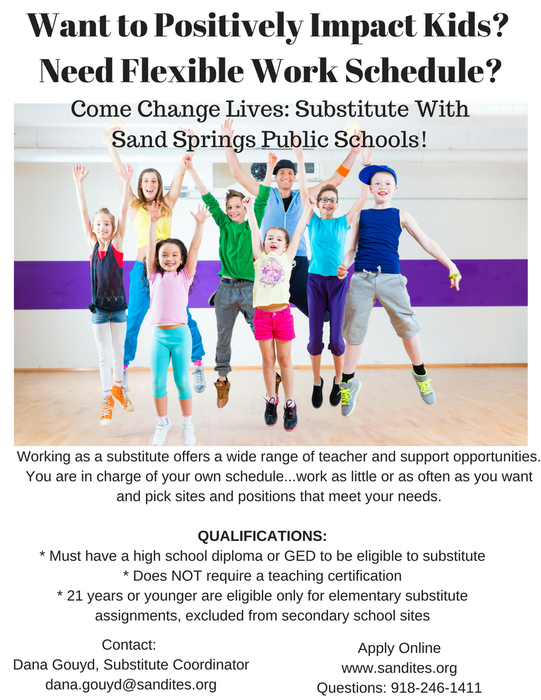 SSPS Hiring Substitutes Now! Bus Pass Pickup/Registration begins on August 1st. 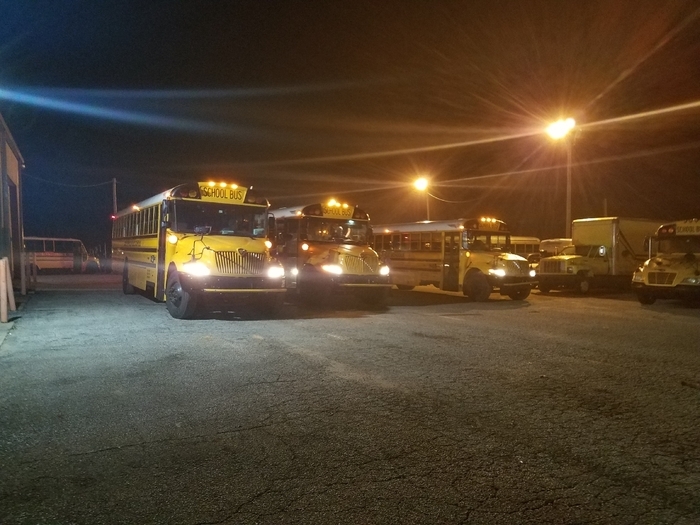 Visit us at https://www.sanditestransportation.org/2018-2019-bus-rider-registration.html for our hours of operation. 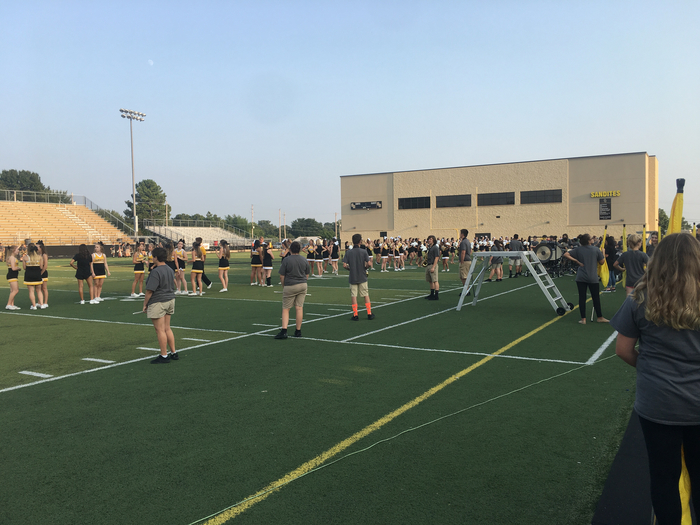 SSPS - Sand Springs Schools has a new Website - Check us out at http://www.sandites.org - See the links in the footer to download our app! 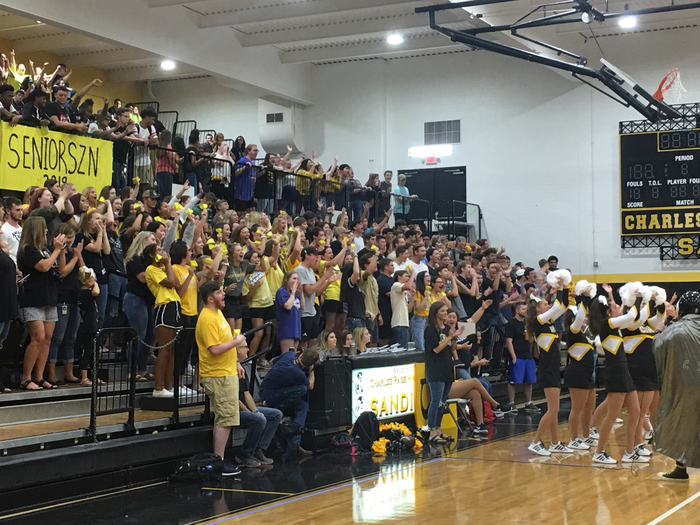 Welcome to the new website of Sand Springs Public Schools! 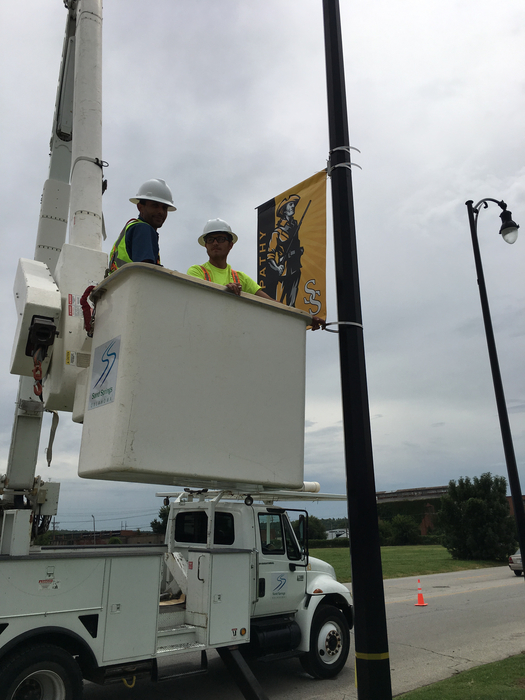 It's a great day to be a Sandite!! 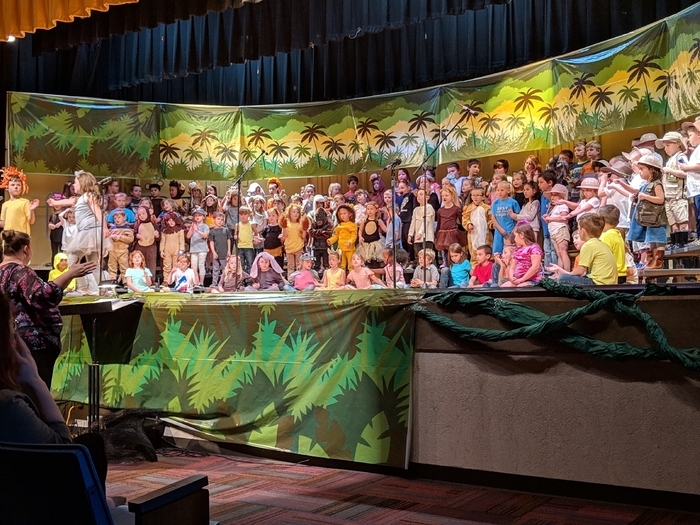 Hey Sandites - Have a wonderful summer!